Carnival Cruise Line has announced they have reached an agreement with the Canaveral Port Authority for the construction of a new terminal. The new facility will be big enough to accommodate the line’s upcoming 180,000 ton ship, the largest ever constructed for the line. The vessel will debut in 2020. If the terms of the agreement are approved, it will clear the way for Carnival to homeport the not-yet-named 5,286 passenger ship at Port Canaveral. 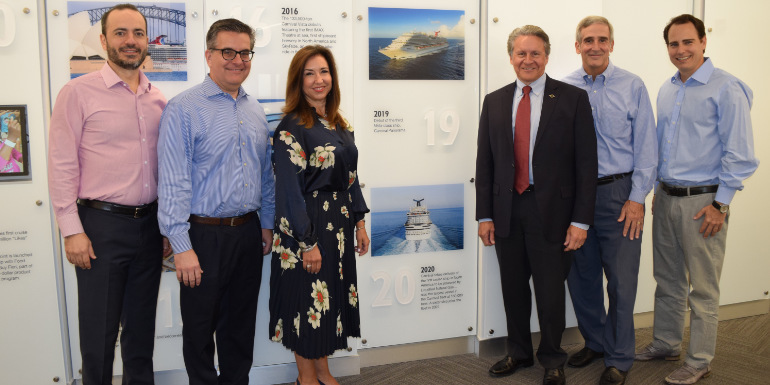 The vessel will offer a number of new features and attractions for Carnival, and be the first North American-based cruise ship powered by Liquefied Natural Gas. Construction of the massive ship is scheduled to begin this November 2018 with the steel cutting ceremony at the Meyer-Werft shipyard in Turku, Finland. Carnival currently has three year-round ships based in Port Canaveral, carrying around 650,000 passengers a year. In October, the line will also reposition Carnival Breeze to the port along Florida’s Space Coast. Have you ever sailed Carnival out of Port Canaveral?